At the moment, Google is holding some limited time promos in its hardware store. Clearly the best deal is to be had for the Motorola Nexus 6. This smartphone is now $150 cheaper than its normal price. That means the 32GB model can be yours for just $499, while the 64GB version now costs $549. 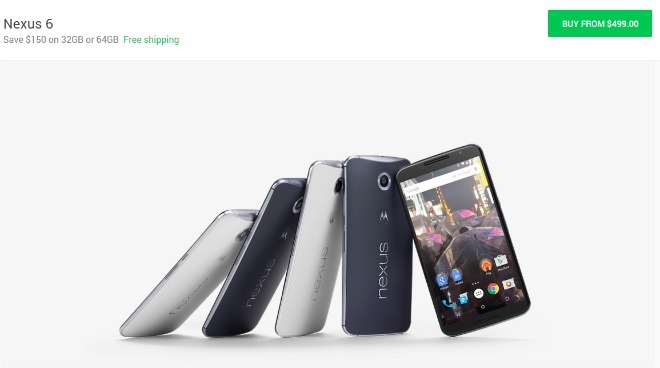 There’s no telling how long these offers will last, by the way, so if you’ve always craved a Nexus 6 but couldn’t quite get yourself to pay the whole price, now may be the time to act – fast. On the other hand, if you’d rather have an HTC Nexus 9 tablet, know that if you purchase one straight from Google before June 23, you will receive $50 in Google Play credit – to spend on apps, movies, music, or something else.